StoreHippo has integrated the API of SenangPay payment gateway. Once the account with SenangPay is created, you need to follow the steps mentioned below to add SenangPay as the payment gateway in your store. 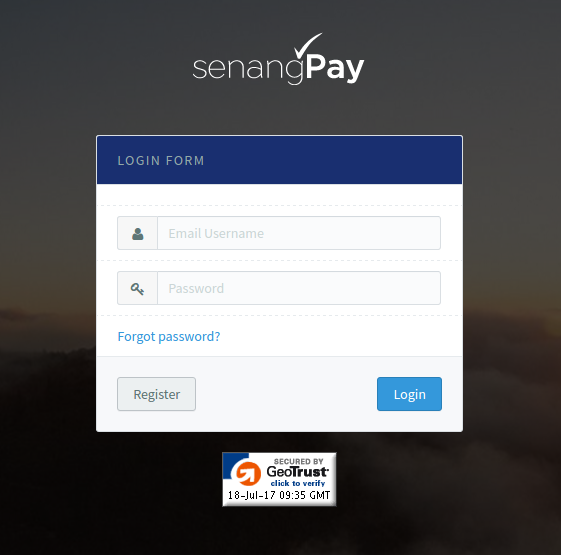 Login with the credentials in the SenangPay. Then go to Settings > Profile section, search for 'Shopping Cart Integration Link' section. There you'll find the Merchant Id and Secret Key. Copy and save the Merchant Id and Secret Key. 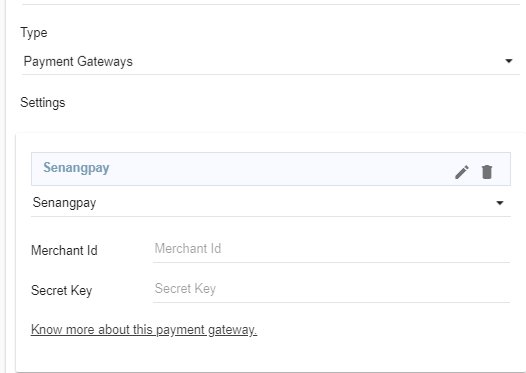 Go to Settings > Payment Methods section in StoreHippo Admin Panel to set up the Payment method as SenangPay into your StoreHippo dashboard. Note: To use this payment gateway, base currency of the store should be 'MYR', as it supports only MYR (RM) currency.